Hospitals today face greater pressure than ever to deliver high-value services cost-effectively while ensuring their patients receive excellent care experiences. Yet, decreasing revenues, rising costs, and growing expectations from patients make that prospect challenging. Meeting these challenges requires that hospital administrators and clinical providers work together to find forward-looking solutions to improve patient care and manage costs without sacrificing quality. With that in mind, here are five innovative patient care, cost efficiency improvements that can help you solve problems and reach your goals. To achieve cost efficiency while maintaining care quality, implement staffing models that include the use of qualified nurse practitioners (NPs) and physician assistants (PAs). NPs and PAs have long been a foundational part of most clinical teams here at Schumacher and play a vital role in the continuum of care — one that has become increasingly crucial due to the growing physician shortage. Their presence benefits EM and HM practice in several ways: lowering provider costs, sharing the workload, increasing throughput, and increasing patient satisfaction. In what ways can we leverage NPs and PAs further? Give them greater autonomy in providing patient care for one. As healthcare shifts more into patients' homes and communities, medical professionals have a responsibility to care for patients outside the four walls of the hospital. What are some ways to offer care outside the hospital setting? Consider a post-acute care program to address the patients who aren’t sick enough to be admitted to the hospital but still need support. Telehealth has become a promising new service delivery model in this age of healthcare technological innovation. It provides access to healthcare services for patients in distant locations, offers cost efficiencies for both patient and provider, supports the care continuum, and meets the ever-growing consumer demand. It also enables hospitals to continue a relationship with post-acute care patients discharged from the hospital to home. Employee wellness programs, like SCP’s WellnessWorks, links the ongoing community healthcare needs of employers, patients, and their family members to providers. Programs such as these give a coordinated approach in the delivery of healthcare services to an insured captive audience and the local community. Why does this recommendation make the list? An Accenture white paper says that approximately seven percent of patients reportedly switch providers due to negative patient experiences, which translates to nearly $100 million in annual revenue loss per hospital. Research also shows that patients with better care experiences are often more engaged and committed to their treatment plans, and therefore more receptive to medical advice. Not only that, but statistical data also shows a clear relationship between hospital profitability and customer satisfaction. Press Ganey estimates that improving patient satisfaction scores from fair/good to good/very good equal $2.3 million in annual revenue from repeat customers. Further, excellent customer satisfaction creates an environment the staff can take pride in, resulting in higher morale and less turnover. Patients who feel acknowledged that their concerns are listened to are more likely to respond to treatment than those who don't. That's why it's essential to encourage providers to improve their bedside manner through effective communication. That includes making eye contact, speaking with empathy and compassion, and refraining from "doctor speak" by explaining procedures and diagnoses using terms the patient can understand. Make sure providers are properly documenting patient care. Better documentation means better communication among the healthcare team — which can improve transitions of care for patients. 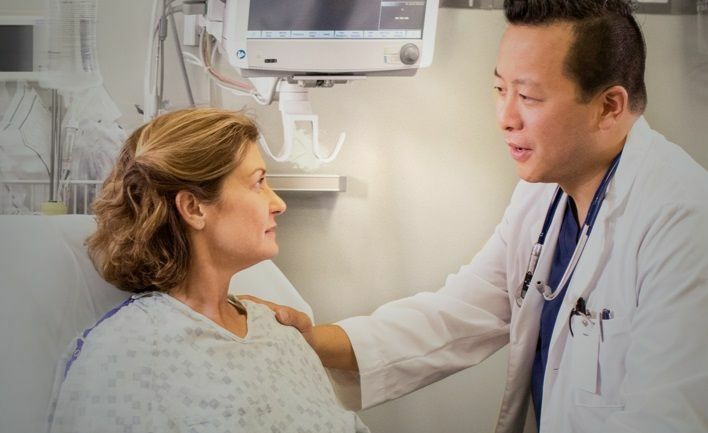 Scribes can help doctors improve bedside attention to the patient and ensure documentation accuracy for more thorough patient care and satisfaction. Promoting the productivity of providers by supplying useful data, strong leadership, and incentive alignment — RVUs — leads to better provider satisfaction and, in turn, improved patient satisfaction. A recent study by The Advisory Board showed that hospital CFOs view reduction in care variation as their single most important cost improvement opportunity. How much are the savings? The typical provider organization has the potential to save $20-30 million per $1 billion in revenue from actionable care variation reduction opportunities. Despite the opportunity, genuinely successful and sustainable strategies that improve standardization of care still elude health systems and their leadership teams. A primary reason for failure: the unique contributions and perceptions of key stakeholder groups are not acknowledged or well-balanced. Successfully creating material improvements in value through standardization means leveraging the skills, experience, data, and leadership from all members of the care team, including the key stakeholders who impact patient care. This increase in clinical options, combined with evolving standards of care, means that standardization efforts now have a proportionately more significant impact on overall cost, outcomes, and value. It is time to rethink standardization because whatever role it played in the past will surely gain more prominence in the future. Finding the right partner who shares your values can help maximize resources to achieve your goals in all the areas listed above. That’s why it makes sense for hospitals to look to their local communities to form partnerships, explore collaborative opportunities, and create more access points for healthcare consumers. Hospitals aren't only limited to local partnerships, either, but can build regional and national relationships, such as mergers with larger health systems, affiliating with nationally-known clinical partners to provide additional services, and contracting with resources like SCP to outsource departmental management. The challenges your hospital faces in this modern healthcare environment grow daily, but SCP is here to help. We solve contemporary healthcare problems with value-added, hospital-based clinical services that include provider recruiting and retention, increasing revenue, managing costs, improving patient satisfaction scores, and optimizing processes and systems.